Breaking my apartment lease wasn’t the worst financial decision I ever made, but it was definitely one of the scariest. Why? Because, legally speaking, I didn’t have a compelling reason to break my lease. I was voluntarily leaving my current job and relocating to a new city to be closer to my then-partner without a formal offer of employment. Nothing prevented me from staying another couple of months to see out my lease. My landlord would have been within his rights to seek full payment of rent due through the end of the lease term. Fortunately for me, he chose not to. The total out-of-pocket cost of my broken lease added up to about a month’s rent; I moved out mid-month, without a pro-rated return of rent paid, and agreed to forfeit a portion of my security deposit equal to half a month’s rent. I’m lucky that the process went as smoothly as it did. Things could have turned out far worse for me. They do turn out far worse for countless other tenants who break leases, whether out of necessity — due to financial hardship, for instance — or by choice, as I did. The potential consequences of a broken apartment lease include a civil lawsuit by your landlord to recover outstanding rent, harassment by debt collectors, long-term credit damage, and difficulty finding new housing. But under certain circumstances, it is possible to avoid some or all of these outcomes, even when your landlord isn’t willing to come to an informal agreement. These are some of the consequences you could face after breaking your lease. They’re not mutually exclusive, meaning you could experience several simultaneously. The unit has been vacant for some time and efforts to re-lease it have been unsuccessful. If your landlord has experience dealing with bad tenants, they won’t hesitate to take you to court if it’s worth their while. You’re free to mount a defense, even if your lease-breaking decision isn’t covered by applicable law. For instance, in many states, landlords must demonstrate good-faith efforts to re-lease units vacated early. They can’t simply leave a unit empty until the lease expires and sue the lease-breaking tenant for back rent. If you lack a credible defense for breaking your lease, though, the judge is almost certain to rule in your landlord’s favor. If you’ve already left town, it may not be worth the time and expense to return and appear in person; many lease-breaking tenants don’t. Paying the judgment in full on the spot, if you can. Although judgments and tax liens no longer appear on consumer credit reports compiled by the three major credit reporting bureaus — a welcome consequence of the National Consumer Assistance Plan — and thus may not directly damage your credit score, they remain legally binding. A money judgment in your landlord’s favor may allow them to garnish your wages, subject to income limits (usually 25% of disposable income), and possibly your bank account. If you live in a community property state, your spouse’s assets may subject to garnishment as well. If your former landlord decides not to bother with the time and expense of pursuing a court judgment to recoup outstanding rent, they may hire a collection agency to recover the debt on their behalf. Though federal law limits the lengths to which they can go to collect on debts, collection agencies are invariably more aggressive than original lienholders; if one takes your case, you’ll know it. Moreover, the collection agency that assumes your lease-breaking debt may choose to do what your landlord didn’t: seek a money judgment in court. Debt collection is something you want to avoid at all costs. It will severely impact your credit score. If you’re afraid that your landlord might hire a collection agency, sign up for credit monitoring from TransUnion. You can also use Credit Karma to check your credit score for free each month. Breaking your lease is one of many reasons you could lose your security deposit. Even when your landlord decides not to take you to court, they may seize your deposit, usually in its entirety. Most states limit security deposits to one or two months’ rent. A few, including Ohio and New York, have no state-level statutory limits on security deposits for non-rent-controlled units. In those states, municipalities may impose lower security deposit limits. Although money judgments for unpaid rent no longer appear on credit reports, the debts themselves endure, and your landlord isn’t likely to forget that you broke your lease. That could come back to bite you when you’re next looking for housing. Even if your rental or mortgage application omits the address where you broke your lease, a routine background check and property search will unearth it and your landlord’s identity. That you omitted the problem address is a red flag in and of itself; now imagine how the conversation between the landlord you stiffed and your potential future landlord or mortgage lender will go. Your old landlord may also report the broken lease to tenant reporting bureaus such as the Landlord Protection Agency. Tenants may have little or no recourse to remove derogatory — and potentially inaccurate — information from these lightly regulated resources. When funds are tight and savings light, any excess housing-related levy may be enough to upend your budget. Finding yourself on the hook for multiple months’ unpaid rent after your landlord secures a money judgment could prove catastrophic for your finances. If gentler measures such as credit counseling aren’t sufficient, your best option may be to declare bankruptcy, a drastic step that will adversely affect your credit for years to come. 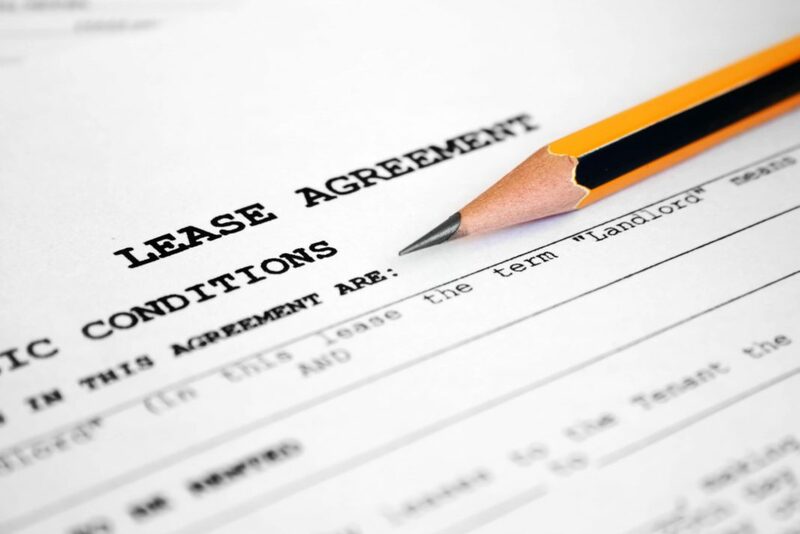 When Can You Break Your Lease With Minimal Penalty? Under the following circumstances, you may be permitted to break your lease with minimal financial penalty — or none at all. Bear in mind that even if your lease-breaking decision is protected by state law, you may still forfeit part or all of your security deposit. Laws governing landlord and tenant rights vary by state, so check with your state attorney general or consumer protection office for local guidance. Free legal resources such as Nolo and FindLaw have lots of information about rental housing laws, but they’re no substitute for official sources. To break a lease signed before entering active-duty status, provide your landlord with a copy of your military orders no fewer than 30 days before you intend to break your lease. Your active-duty status must last at least 90 consecutive days. To break a lease signed after entering active-duty status, provide your landlord with a copy of deployment or permanent change of station orders lasting at least 90 consecutive days. The 30-day notice period applies here as well. In either case, the SCRA allows you 30 days to vacate the premises after your last monthly rent payment’s due date. Many states allow renters to break leases without penalty when their units become uninhabitable due to circumstances beyond their control. Definitions of “uninhabitable” and “circumstances beyond your control” vary by state, but common situations include natural disasters and criminal acts, such as arson, that gut or destroy the premises. Many states allow domestic violence victims to break housing leases without penalty. Rules vary by state, but a current court-issued protective order is usually sufficient proof of victim status. The minimum notice period is generally 30 days, but you should never remain in an unsafe situation to avoid financial consequences that may never come. If you feel you’re in danger, contact the National Domestic Violence Hotline. If a serious physical or mental health issue renders you, a dependent living with you, or a co-tenant unable to live independently in your rented housing, you may qualify for early lease termination without obligation to pay the entire balance of rent due. Where permitted, health-related lease-breaking arrangements may be age-restricted. In Nevada, the minimum age is 60 years. Most states require a note from a locally licensed physician and at least 30 days’ notice. Permissible conditions vary but generally dovetail with conditions for which you may claim disability insurance benefits. Many states have “constructive eviction” laws that allow tenants to move out without penalty when the landlord fails to maintain safe, habitable housing. In order to qualify as constructive eviction, the failure must be persistent and severe. Ignoring a requests to replace a broken microwave probably won’t cut it; ignoring repeated, urgent requests to get the heat or water turned back on likely will. Generally, the problem must be so severe that you’re compelled to move out before your lease ends. Even if the landlord’s failure meets the constructive eviction standard, you’ll need to thoroughly document the problem — including when it began, how it developed, and how it affects your use of the property — along with all requests for service. Enlisting a licensed building inspector to document the issue and verify that the unit is unlivable may strengthen your case. If you’ve been constructively evicted, be ready to appear in court if and when your landlord sues you for unpaid rent. Constructive eviction is a valid defense against unpaid rent claims, but judges don’t merely take tenants at their word — hence the need for documentation. If you paid any rent after the problem became intolerable, you could sue your landlord to recover it. Look for pro bono tenants’ rights representation in your area; for example, in Minneapolis, where I live, the Volunteer Lawyers Network is a great resource for low-income renters and housing-insecure individuals. Privacy. Rules vary by state, but landlords must generally give 12 to 24 hours’ advance notice that they intend to access the property in non-emergency situations, such as for showings or repairs. Safety. Landlords can’t directly or indirectly jeopardize tenant safety — for instance, by permitting illegal activity to occur on the premises or failing to repair a leaking gas line. Exclusive Use. A tenant with exclusive use of a rented property has the sole right to occupy and use that property for the purpose stated in the lease. That means that only tenants named on the lease may dwell on the premises. A landlord can’t, for instance, temporarily evict a tenant to make room for a visiting relative or list a second bedroom on Airbnb without the tenant’s permission. If you believe your landlord has broken this covenant, you may be within your rights to move out without penalty. Again, documentation is your friend if and when your landlord takes you to court. Job Relocation. This may cover relocation by your current employer or relocation to take a job with a new employer. A spouse or domestic partner’s relocation may be covered as well. Job Loss. If you experience financial hardship due to unexpected job loss, you may have reason to break your lease with minimal penalty. Unless you have a cheaper — or free — place lined up, though, you may first want to negotiate a deferred rent payment plan with your landlord (see below). Divorce. Financial hardship or relocation caused by divorce may absolve you from your obligation to pay some or all of the remaining rent due on a broken lease. The mere fact of your divorce is unlikely to be sufficient, however. In consultation with your respective legal representatives, you’ll need to draft and sign a lease transfer agreement that assigns all tenant rights and obligations, including full payment of remaining rent due, to the spouse remaining in the unit. A Family Health Crisis. If you need to provide in-home care for a seriously ill family member or experience financial hardship related to their care, you may have recourse. Again, the mere fact of a family member’s illness likely won’t be sufficient if you’re not financially responsible for their care. You’re free to attempt to negotiate a more comprehensive early termination clause before you sign your lease. In a renters’ market, landlords may be more inclined to generosity. Even if your lease-breaking decision isn’t covered by state renter protection laws, these strategies may blunt its financial impact. Without adequate documentation, you’re far less likely to prevail in court, should it come to that. In most states, landlords must make reasonable efforts to re-rent units vacated before the lease expires. In legal parlance, this is known as landlords’ “duty to mitigate damages.” Nolo has a comprehensive list of states where the duty to mitigate damages applies and where the law is less clear. If you live in a duty-to-mitigate state, monitor your landlord’s efforts to re-rent the unit you’ve vacated. If it appears that they’re not making reasonable efforts, not making any effort at all, or they formally request unpaid rent shortly after you move out, send them a written notice of their duty to mitigate. This notice should refer them to the applicable state statute and briefly describe its provisions, including its definition of “reasonable efforts,” and how the steps they’ve taken or not taken to date fall short of that standard. Make clear in your letter that your landlord can’t expect to merely allow your lease term to expire, re-rent the place on a new long-term lease, and then take you to court for rent due. I broke my lease in a duty-to-mitigate state, and it was immediately apparent that my landlord understood his obligation under the law. Within days of giving notice, he was showing the place, and I’m pretty sure he had a new renter lined up before I officially left. In any case, the ease with which he re-rented the unit no doubt played into his leniency. Even when your landlord has a duty to re-rent the unit, you’ll want to make reasonable efforts of your own to assist that process. One of the easiest ways to resolve a broken lease is to sublet the unit for the remainder of the lease term. Many housing leases expressly forbid subleasing, but if yours doesn’t, tell your landlord that you intend to sublet and advertise the place on free or cheap resources such as Craigslist and Nextdoor that are frequented by prospective renters in your area. You could also use a service like Roommates.com. It’s essential that you’re honest about your intentions to sublet. Understandably, landlords tend to be wary of subtenants, and, at a minimum, they’ll subject yours to the same vetting as any other full-term tenant. It’s in your best interests too since you remain responsible for the lease and rent due even after subletting. The ideal subtenant is someone with whom you have a pre-existing relationship and for whom you have no hesitation vouching. I know tenants who’ve been burned by sketchy subtenants with whom they had no prior association. If you’d prefer not to retain responsibility for your lease after moving out, consider transferring it to a new tenant. Transferees assume legal responsibility for rent due after the transfer date, absolving the prior tenant, which allows you to walk away from your lease early with no lingering obligation beyond any legally permissible fees for damage or uncleanliness you caused. Confirm that your lease is transferable before spending the time and effort to seek new tenants. If your lease is transferable, your landlord can’t stop you from making this move, but you may still be bound by a required notice period, usually 30 to 60 days. If transfer isn’t explicitly permitted, you may need to ask your landlord’s permission, and your landlord may be within their rights to decline. In either case, be forthright with your landlord. Many landlords are wary of lease transfers for the same reasons they’re wary of subleasing arrangements. I’ve heard anecdotal evidence of landlords thwarting departing tenants’ efforts to transfer leases, even when the lease explicitly permits transfers. The longer your notice period, the lower the likelihood your unit will sit vacant after you depart. It never hurts to exceed your state’s required notice period, though this may not be possible amid a hasty departure. The lease I broke was a six-month lease — likely another factor in my landlord’s leniency. And my wife and I were fortunate to switch to a monthly lease shortly before we purchased our first home; at the end of our last month in that apartment, we were free and clear. If you’re preparing to renew your lease and expect to move before the subsequent renewal date, see if your landlord will agree to a renewal term shorter than one year. Monthly is ideal, but many landlords aren’t willing to take that risk; three or six months is more common. Your landlord is under no obligation to agree to a shorter lease, of course. When all else fails, appeal to your landlord’s softer side. Most landlords are not cartoon villains who care about nothing other than maximizing their properties’ cash flow. In cases of genuine hardship, yours may be willing to cut you a break. Help your landlord get to “yes” by going the extra mile before and during move-out. Clean the place thoroughly, offer to paint or make minor repairs that don’t require specialized labor, make a concerted effort to find replacement tenants — without usurping the landlord’s duty to mitigate — and sing the landlord’s praises on online tenant forums. If your landlord isn’t willing to outright forgive outstanding rent, the next best thing is to work out a mutually agreeable repayment plan without going to court. If you owe four months’ rent, perhaps your landlord will accept installments over the following 12 or 18 months. Ultimately, your landlord would probably prefer full — or even partial — payment over time to a substantial write-off. That my decision to break my lease ended well enough for all involved hasn’t assuaged my lingering regret. Although we parted amicably, I can’t help feeling that I let my landlord down; I can’t imagine he was happy that I left early. Years later, it’s easy for me to tell readers not to do what I did and break a lease voluntarily without a permissible justification. Your decision might work out as well as mine, and you may well mitigate the financial harm by following the guidance here. But that doesn’t necessarily make it right. On the other hand, if your current housing situation threatens your safety, liberty, or privacy, you have every right to leave with all due haste and worry about exercising your legal rights later. Your life is more important than any temporary financial setback. Have you ever broken your apartment lease? How did it go for you?